1. A comfortable blanket – Perfect for a picnic on a grassy hillside or to stop and watch the sunset on after a long afternoon of hiking! You and your cutie can enjoy a meal and then cuddle comfortably while taking in the romance of nature all around you. 2. Games – What’s a romantic getaway without fun? 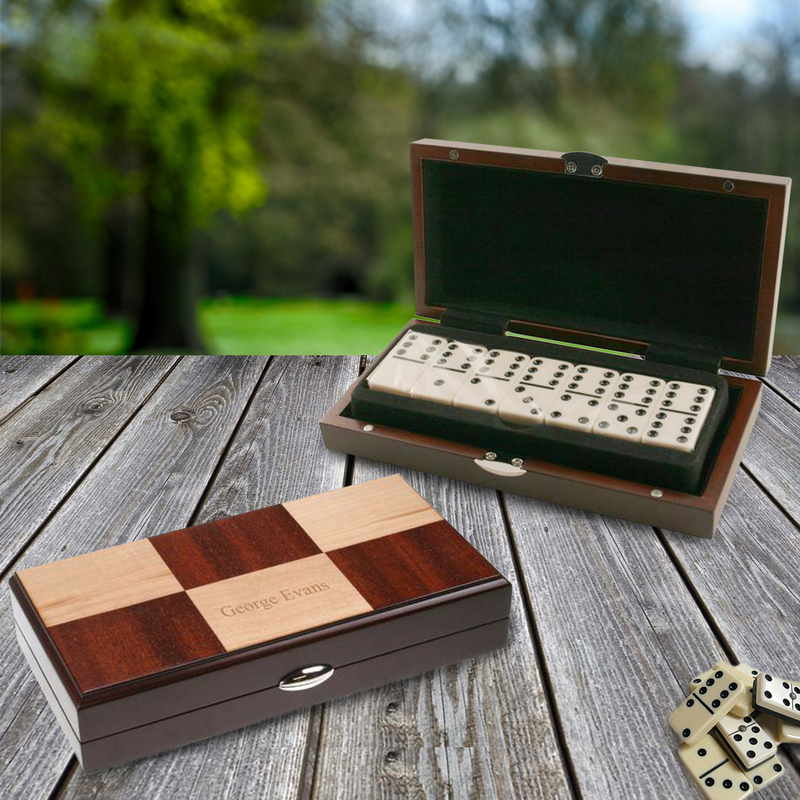 This Rosewood and Maple veneer Domino set adds a touch of elegance to the fun and games for the evening! 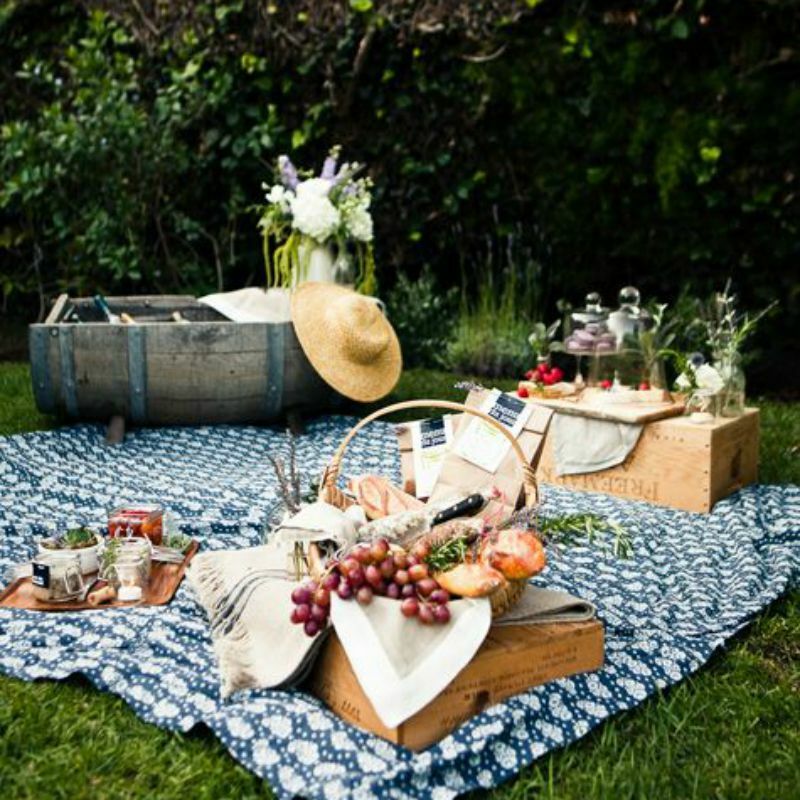 Enjoy while on a picnic or out on the balcony over wine after dinner. Get it engraved to create a great gift for him. 3. 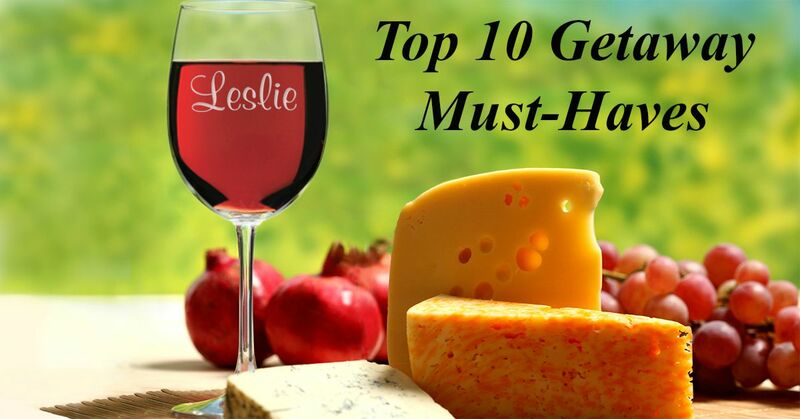 Wine & Wine Glasses – Is there a drink that screams romance louder than red wine? We’d be hard pressed to find one! 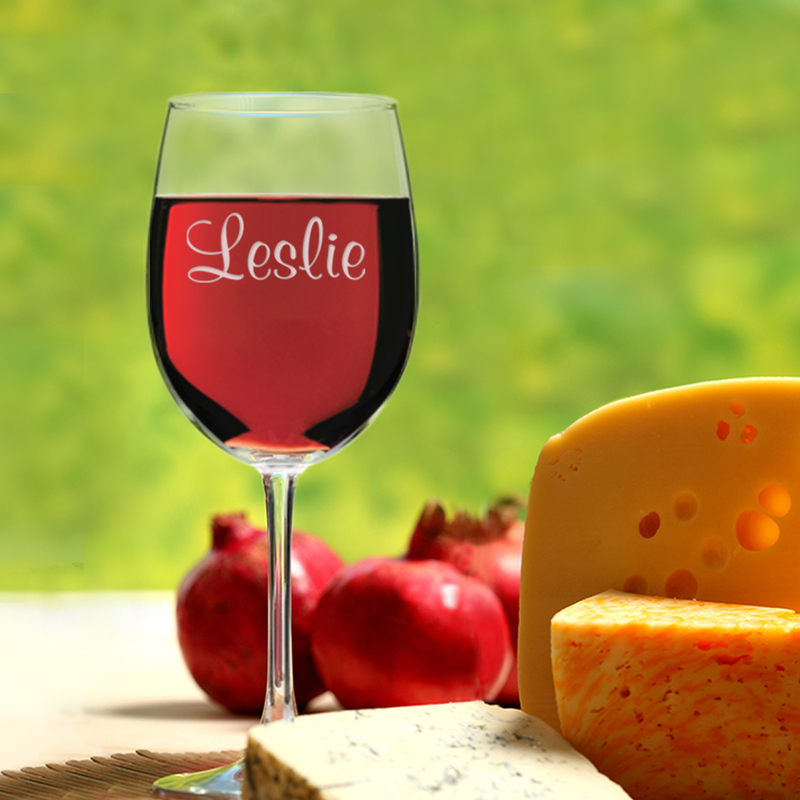 Wind down from a long day of adventure and celebrate with your summer love with these personalized wine glasses. Monogram your glass with a name and/or date, making it an amazing & memorable gift for her. 4. 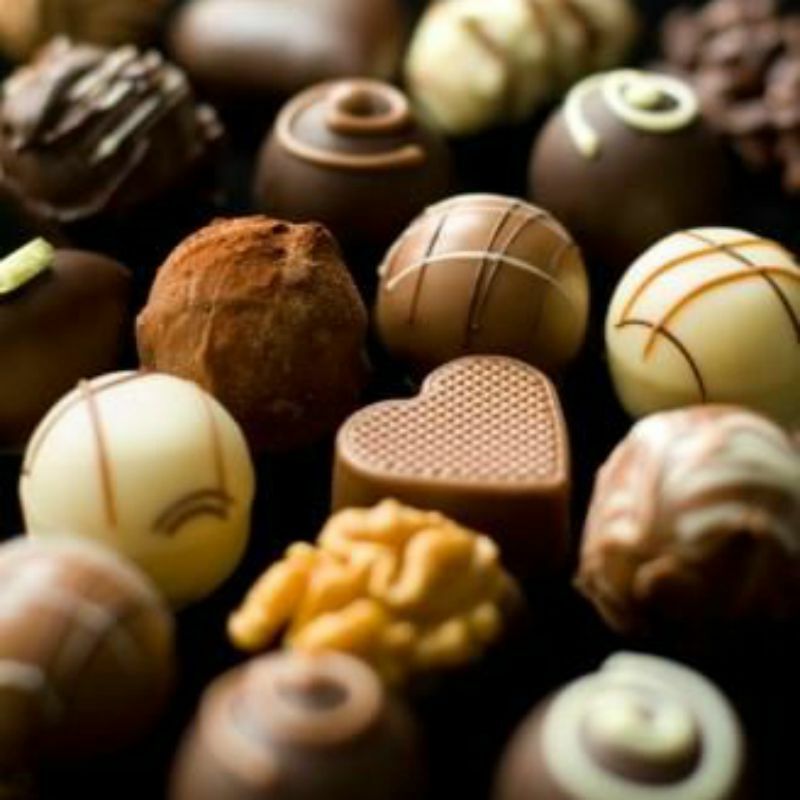 Gourmet Chocolate – Long thought to be a natural aphrodisiac, chocolate has become a staple of most romantic gestures, meals and getaways. But whether it truly induces a heightened feeling of love or not, chocolate remains an excellent gift or snack for its delicious taste! Gourmet chocolate brings an extra romantic element to the mix. 5. 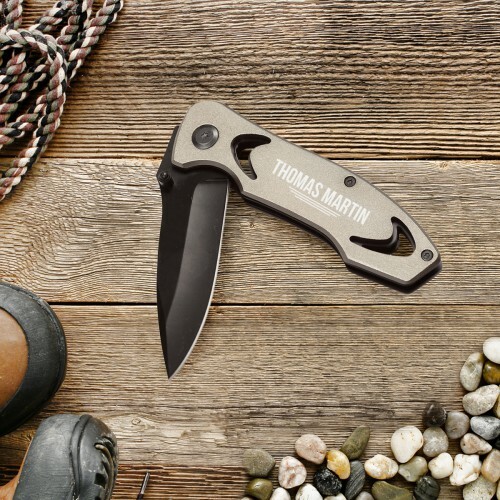 Pocket Knife – Perfect for the outdoorsy adventurer in your life! Does his idea of a romantic getaway included rummaging through the forest, white water rafting or climbing mountainsides? This personalized gunmetal aluminum pocket knife will make just the right gift for him that he won’t see coming. 6. Charm Bracelet – Ready to take her breath away with a token of your affection? 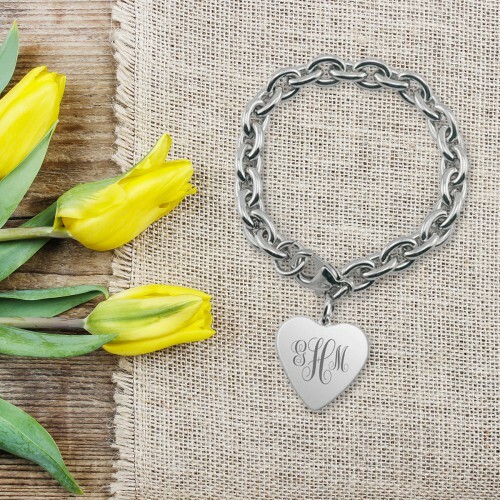 This monogrammed silver heart charm bracelet is a perfect fit for any wrist and a great reminder that she’ll always be close to your heart. Engrave it with her initials or a special date, making it an excellent gift for her. 7. 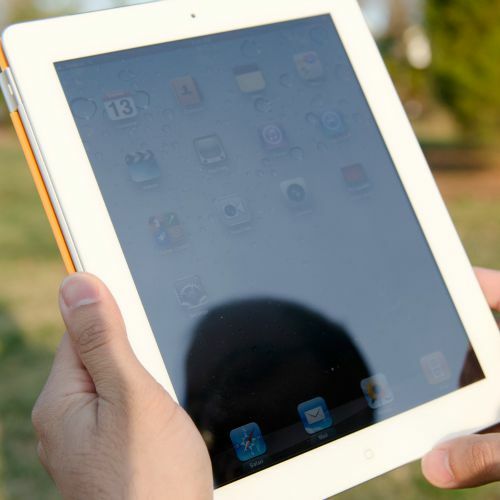 Music – Set the mood with a prepared playlist on your smart phone or tablet. You’ll be surprised how much music can take the romance up a notch! Plus you’ll get to bond over potential shared favorite songs. 8. 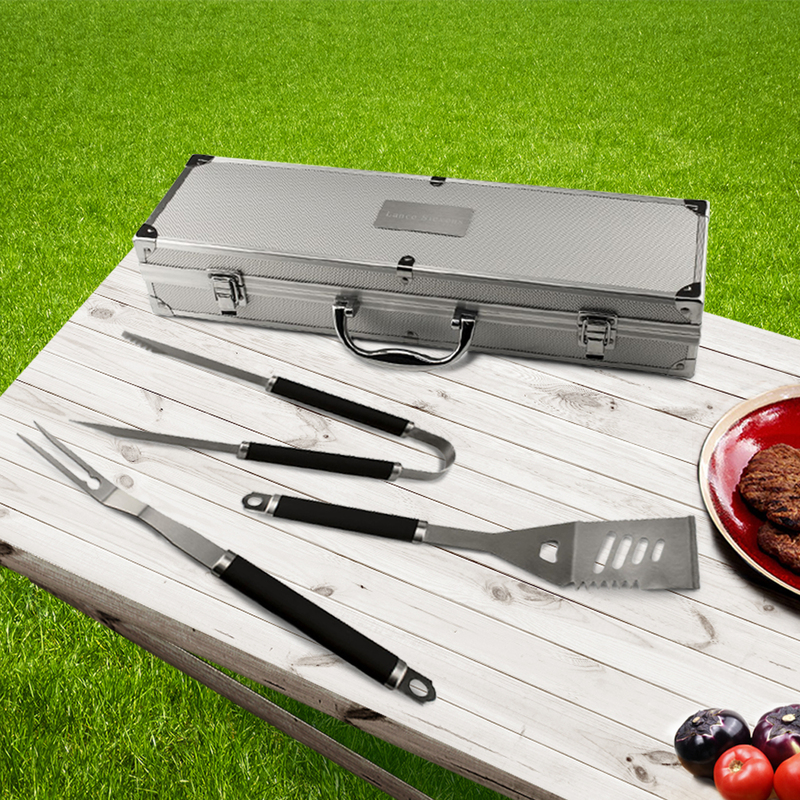 BBQ Tool Set – Does he love to fire up the grill and treat you to a romantic dinner of his cooking? Show him how much you appreciate the gesture with this engraved stainless steel BBQ three piece tool set – including oversized tongs, fork and a slotted spatula.This fun and thoughtful set is definitely one unparalleled gift for him. 9. 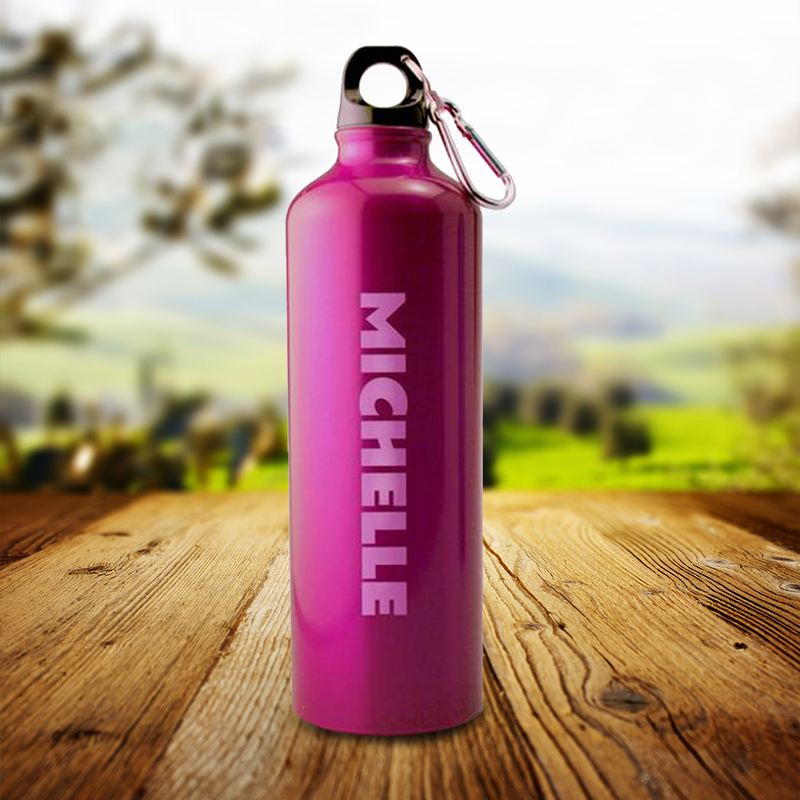 Water Bottle – It’s important to stay hydrated during an exciting day of adventure! This reusable and recyclable eco-conscious water bottle is perfect for a day of hiking, sight-seeing a new city, or trip to the beach. Personalize it with a name to add a unique touch on this gift for her. 10. 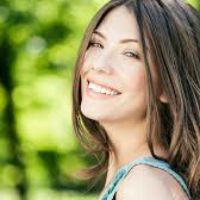 Your Smile – Probably the most important must-have on this list. Remember that the goal of the romantic getaway is to enjoy the quality time together and expressing the happiness of being with one another.